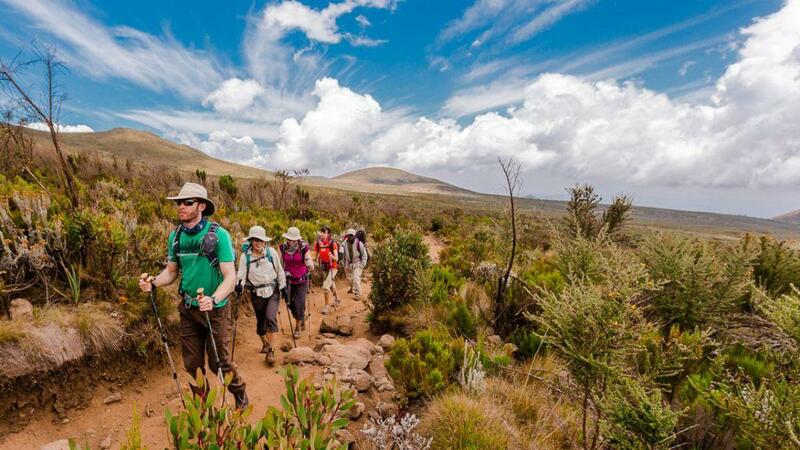 Mt Meru Trek short and rewarding a Comfortable lodge accommodation near Arusha is included on the night before and the night after the hike, and during the hike accommodation is in mountain huts along the hiking trail. This Mount Meru Hiking Tour starts with collection from the Kilimanjaro Airport near Arusha, Moshi and Mount Kilimanjaro in Tanzania. Our driver transfers you from the airport to your hotel, in the town of Usa River, just outside Arusha city. 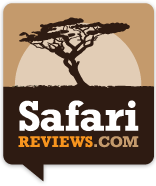 The lodge is set in leafy gardens, close to the Arusha National Park and Mount Meru. Arriving at the comfortable lodge there is time for you to settle in and relax for the rest of the afternoon. Explore the lush gardens and take a swim in the pool or transfer to bustling Arusha city to experience some African culture and browse the markets. Gather for a tour briefing in the evening, to help prepare you for your trek up Mount Meru, and enjoy dinner at the lodge restaurant. On day two we head to Arusha National Park in the morning, to begin our trek up Mount Meru. A 5-minute drive brings us to the entrance gate of Arusha National Park, where your guide completes the necessary paperwork. Formalities complete, a trekking team of local porters will join you, and then we continue to the nearby Momella Gate. For the first scenic leg of the hike an armed park ranger accompanies us through game territory, helping to spot any roaming giraffes and buffalo in the area. From there we hike into acacia forest, following the Southern Route up the slopes. A steady two-hour long climb brings us to Maio Falls and lovely pastures where we enjoy a picnic. From the falls we hike to the ‘Arched Fig Tree’ a well-known attraction that your ranger tells us more about. Learn how the tree formed its arched shape, framing our path. We walk on for another one and a half hours or so, until we get to the Miriakamba Hut where we sleep tonight. Rest and have dinner at the Miriakamba Hut this evening. In the morning, we continue our hike up Meru, following some wooden steps up a steep track. As we climb higher up, temperatures drop making for easier climbing in the cooler conditions. The lush rain forests we walk through are full of life and often shrouded in low hanging clouds creating a mercurial and mysterious atmosphere. After about two more hours of hiking, the Mgongo wa Tembo (Elephant Back) view point is reached. Here we stop to admire the scenery and take a well-deserved rest, at an altitude of around 3200 meters. On the next stretch of the hike we make the transition from rain forest vegetation into more open bush, reaching our overnight stop, Saddle Hut at midday. Arriving at our next hiking hut, located at 3550 meters above sea level, we take a break and have lunch. In the afternoon, you can take an optional one and a half hour walk to Little Meru at 3820 meters. The Little Meru peak offers fantastic views of Mount Kilimanjaro some 80 kilometers away, as well as over Arusha National Park. Returning to the hut from the optional walk, a warm dinner awaits, followed by one last briefing to prepare for the summit climb on day four. Day four of this Mount Meru Hike starts in the early hours of the day, way before sunrise. We wake up for tea and biscuits, before setting off for the summit by torchlight at two in the morning! The hiking trail becomes more challenging as it takes us through the bush to Rhino Point, at 3821 meters above sea level. We walk across solidified lava ash and rocky ground, as we make our way up the northern ridge to the summit of Mount Meru. This stretch of the hike involves some climbing passages, requiring a stomach for heights and sure-footnotes. About four to five hours later the Tanzanian flag comes into sight, signalling that we have reached the summit. We make it to the top of Mount Meru in time to watch the sunrise over the majestic Mt Kilimanjaro, watching the landscapes light up below. Enjoy spectacular views over the Tanzanian highlands and the steep-sided crater of Mount Meru, with its Ash Cone center. After basking in our achievement at summit and taking in the breathtaking vistas, we begin our descent to the Saddle Hut, along the same path. Back at 3550 meters we take an extended break to regain energy and have some refreshing hot soup and tea served at Saddle Hut. Then we continue with the descent refreshed and ready for the next stretch of our hike. In the early hours of the afternoon, we reach the Miriakamba Hut, back at 2500 meters. Unwind and put your tired feet up, reveling in the satisfaction of having reached the Mount Meru summit earlier in the day. We have dinner and get a well-earned night of rest at Miriakamba Hut. Rise and shine for breakfast on day five, before we hike back along the Northern Route to our starting point at Momella Gate. The final stretch of the descent takes two to three hours, passing through game viewing land. Keep a look out for wildlife, including elephants, buffalos, giraffes, and black and white columbus monkeys, as we cover the final leg of our hike. Reaching the gate, we say goodbye to the team of local porters and depart from Arusha National Park. A short drive brings us back to the lodge near Arusha, where we celebrate our summit of Mount Meru and take it easy. Today the invigorating Mount Meru Hiking Tour ends, after breakfast at the lodge near Arusha. Sleeping bags and all items of personal nature.